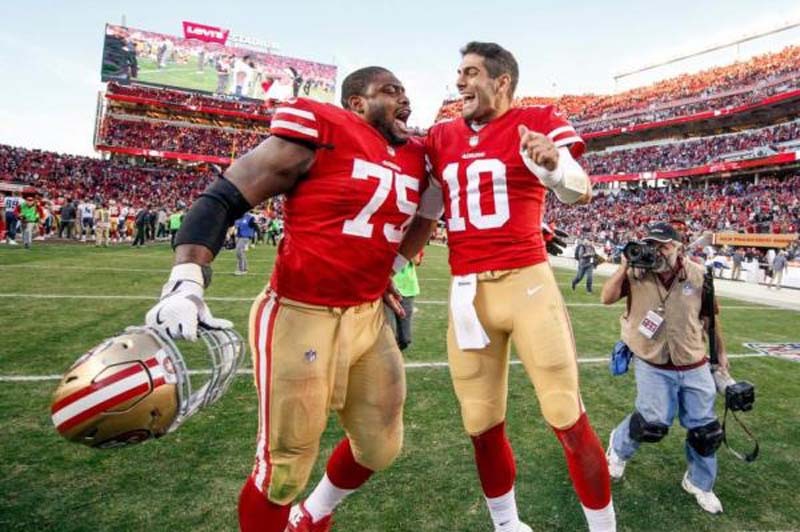 The San Francisco 49ers signed offensive guard Laken Tomlinson to a three-year contract extension through the 2021 season, the team announced on Friday. The 6-foot-3, 312-pound Tomlinson was acquired by the 49ers in a trade with the Detroit Lions on Aug. 31, 2017, and started the last 15 games of the season at left guard. In 2016, he appeared in all 16 regular-season games with the Lions (10 starts) and started the team's Wild Card playoff game against the Seattle Seahawks.